I grew up the oldest of four children: two girls and two boys. We all got along great. We were different from one another and had our own talents and interests, yet we also loved hanging out together, playing card games, jumping on the trampoline, watching movies and enjoying many other activities. One of my fondest memories was a family trip to Williamsburg, VA. During our visit we went to Busch Gardens. Eventually our mom and dad went back to the motel and left us four there to have fun and close the park down. Twenty minutes before closing the rides were briefly shut down due to lightning, so we found a table and played a couple of rounds of Hearts. After a few minutes, the rides reopened, and to our delight, most people had cleared the park; but not us, we loved roller coasters and headed straight to “The Big Bad Wolf.” With no one in line except the four of us, we rode the roller coaster over and over, continually rotating our seats so that each of us got a turn sitting up front with another sibling. That’s just one of many happy memories of my life with siblings. My sister, brothers and I had so few squabbles growing up that I couldn’t have imagined back then that one day I might have children who wouldn’t always get along as well as we did. Fast forward 30 years. 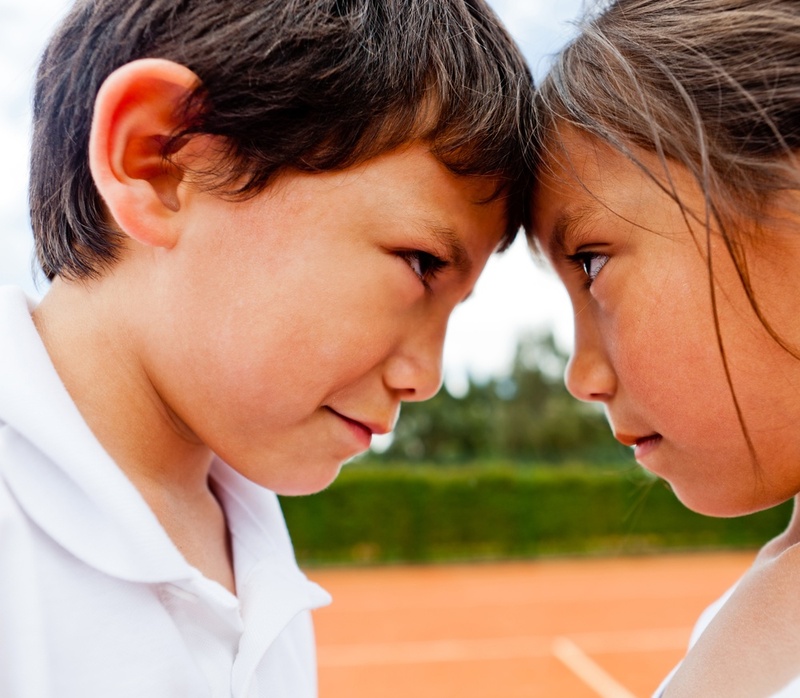 Now I’m a mom who has lived through raising girls who have frequently been at odds - parenting my children through the challenges of sibling rivalry. I’ve often wondered where I went wrong, and why they don’t enjoy and appreciate each other, and what I could have done to help them overcome some of these struggles. Through relationships with other parents, I am finally seeing that maybe I didn’t do anything wrong, and that off and on strained sibling relationships and rivalries are normal. However, what I have learned is that there are some things that might have helped me nurture these relationships in a more positive way. For the past couple of years I’ve been volunteering as a mentor mom with MOPS (Mothers of Preschoolers). At a recent MOPS gathering, the mentor moms sat up front and gave advice on some tough questions, including one dealing with sibling rivalry. With the benefit of hindsight now that my girls are mostly grown, I decided to tackle this question, and would like to share some strategies that I would use if I had it to do again. Don’t show favoritism. Do your best to be impartial and fair. Separate the kids temporarily while they simmer down. Usually in a fight there are two completely different versions of the story. Of course I was usually in the dark because the conflicts rarely came about in my presence. Have the kids take turns, calmly explaining what happened until they have the same version. Proceed to work things out from there. Help your kids become friends and find the good in each other. They can do this by cheering one another on at a sporting event, or recognizing each other’s talents. Simple, genuine compliments such as, “That dress looks so cute on you” will go a long way. Help your kids understand that everyone is created differently and some of the personality traits they may not like in each other doesn’t make them wrong, just different. Help them to recognize a positive or a strength in their rival. Pray for them, and have them pray for each other. Even a single, simple sentence prayer can start to break down a wall of hard feelings and encourage understanding. Have them focus on the long-term - friends may come and go but family is forever. Remind them that they are on the same team, encourage them to look out for each other. I vividly remember being pregnant with my second child and wanting a girl so badly so that my oldest daughter would have a sister. I got my girl, plus one more, and I often remind them how lucky they are to have each other. While I wish I had known and utilized some of these strategies to lessen the stressed times and accentuate the good times while my girls were growing up, I am confident that my girls’ love for each other is deep and that they would support each other whenever needed. If you are considering transitioning your child from a public school or homeschool setting to private Christian school, you know that these changes may be stressful for your child. We want to help you think through the transition and make it as smooth as possible for your family members. Register for our webinar to learn tips and advice for a successful transition!